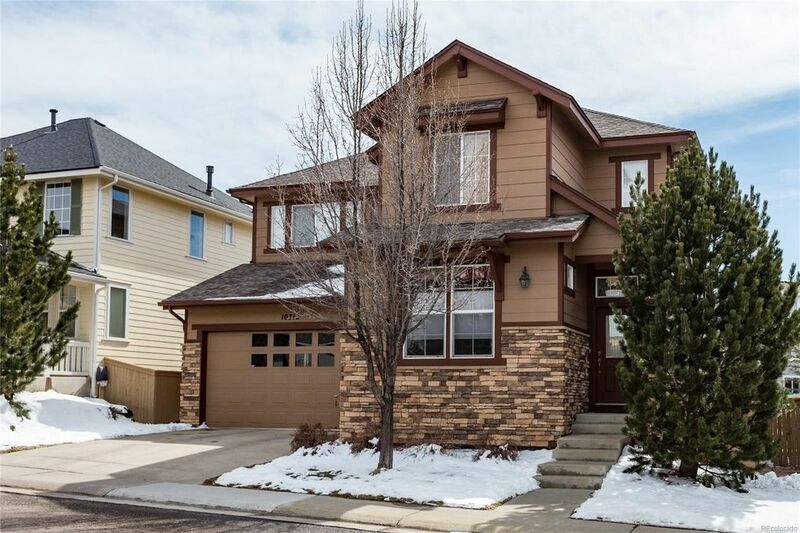 Immaculate, 3 or 4 bedroom home in beautiful Highlands Ranch, kept in pristine condition by the original owners! A premier lot backs to a Greenbelt! A great floor plan features high ceilings, a cozy living room with gas fireplace opening to the bright dining area and kitchen with island, breakfast bar & pantry. Enjoy views of open space with your morning coffee on the airy rear patio. French doors open into the main floor study/office; with a closet and adjacent bathroom shower it can work as a 4th bedroom. Upper level features a spacious Master bedroom with coffered ceiling, large walk-in closet and 5-piece bath. Two additional bedrooms up, full bath & adaptable loft - maybe an office, exercise or family room. The Xeriscaped back yard is low maintenance, & you're walking distance to schools, park, sports, miles of trails and wilderness area. A 3-car tandem garage for a trailer, boat or workshop. Repainted in 2012, new roof 2014, new carpet throughout 2015. Don't miss out on this one!